In 1966, Mills Funeral Home, Inc. was established at 516 E. Gordon Street in Kinston, NC. We felt it was time to offer funeral services that were uniquely tailored to accommodate all families in Kinston and the surrounding areas, while at the same time keeping cost to a minimum. While providing the very best in personalized funeral service is our priority, we know how important it is to devote community time outside of the funeral home. Each member of Mills Funeral Home family remains active in civic, and service clubs, church and organizations that directly touch our community. 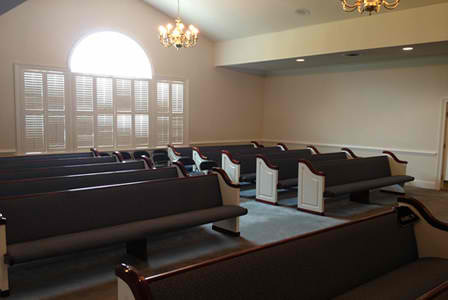 In 2000, we decided to build a new facility, with three parlours, a chapel to seat up to 350 people. Our funeral home accommodates any religious orientation, and offers florist and monument services, as well as a cemetery on the premises. We are family owned and operated funeral home with five licensed funeral directors. We specialize in traditional funerals, burial, cremation, pre-planning, and insurance. The Mills Funeral Home takes pride in our status as the community’s choice for trusted and respected service. Our commitment to our community and indeed to your family is to treat you as we ourselves would would want to be treated, fairly and compassionately. Two generations of the Mills family are joined to serve the families of Lenoir, Jones, Craven and surrounding counties with quality, affordable service. We are grateful for the confidence that the public has placed is us and pledge that we will work diligently to keep that trust.